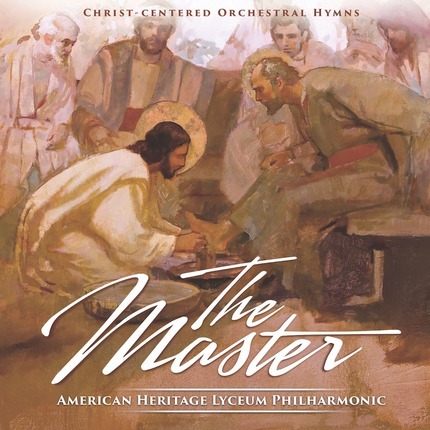 From the award-winning youth orchestra, The American Heritage Lyceum Philharmonic, comes The Master, a brand new album featuring orchestral arrangements of your favorite hymns like "I Stand All Amazed", "Where Can I Turn For Peace", "Come Thou Fount", and more. The Lyceum Philharmonic is comprised of nearly 100 high-school musicians who come from many schools across the state of Utah to participate in an after-school music program at American Heritage School. The Philharmonic is one of five orchestras in a community program that boasts over 200 students ages five to eighteen. This album is very unique. As an avid fan of classical music I feel that the music in this album accomplishes what hasn't been done before: taking LDS hymns and orchestrating them to sound as if they were an old symphony you had listened to as a child. It has been very appropriate for sending to my missionary, playing at missionary events, playing for prelude music, and even an alternative for listening to music on Sundays! I am impressed by the caliber and skill portrayed by these young musicians. Almost all of my favorite hymns were included in the album, so that made it especially appealing to me. My favorites are "If You Could Hie to Kolob" and "I Need Thee Every Hour." They are stunning and inspiring! I hope for more music like this to come. Unbelievable orchestration of the most well-known and well-loved LDS hymns. Truly this is such a gift! This makes for wonderful Sunday listening, car travel, for missionaries…really this is for anyone who appreciates beautiful music. I am in complete awe that this recording was performed by students! I would have guessed that it was recorded by professional artists. I cannot overstate the subtlety, the beauty and elegant complexity to be found on this recording--it's like hearing these hymns for the very first time. The music is truly inspiring, and doubly so because it's performed and recorded by high-school aged kids, each of whom clearly possess an understanding of the material and a mastery of their respective instruments (particularly the violins!). Fans of classical music, LDS hymns or music in general will not be disappointed with this album, rather they'll likely find themselves wanting even more. Such a fantastic delivery of some of the best music ever written. These kids should be proud. Listen to this album and you'll never guess that it is an orchestra made up of teenagers. The arrangements are astounding and the music is stunning. This music brings the Spirit into our home every time we listen to it. Wonderful arrangements. Inspiring theme. Awesome talent. Beautiful music. Don't let the fact that this is a youth orchestra prevent you from believing that this CD is anything less than professional. It's a wonderful CD for Sunday music or any time you want to feel the spirit. There is nothing else like this on the Deseret Book music shelf. These contemporary arrangements are stunning. You would never know this was a youth orchestra if you just listened. This album is my new favorite! It reminds me of the Tabernacle Choir only without the choir. You feel the Spirit of the hymns but without all the lyrics. The If You Could Hie to Kolob track is stunning and all the arrangements sound unique. This is the album you just put on and let it fill your home with the Spirit. It won't put you to sleep but it won't distract either. It's not pop at all. If you are one of those music snobs (guilty) who doesn't like to hear your sacred music over-stylized to sound like country, folk, pop, rap, whatever, then you'll especially enjoy this album. They capture the feeling of the hymn and don't make an attempt to change the songs you use to worship to sound like the songs you jam out to. This album is pure perfection. The beauty and genius of these arrangement brings tears to my eyes and gives me chills every time I listen. The entire album sounds like it should be a movie score for a film about Christ. "If You Could Hie to Kolob" is breathtaking! I l listen to that track over and over. The talent and passion that these youth have is truly inspiring.